Water is a very important resource for all living things. We us to survive, for hygiene, and just for fun but sometimes it can get wasted. 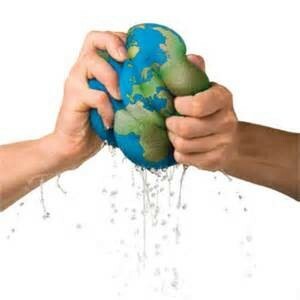 Without water the world would die from the drought and the entire human race would be extinct. Yes water is precious and shouldn’t be overused or one day this disaster may occur. This is not a very nice thought but that thought may someday turn into a reality. Water is usually wasted because of carelessness or laziness but people who do this may not know that our water source is limited and is running out. You may think ‘How is this happening we have oceans of water?’ but you may not know how much water you are using throughout one day. Water is water you ask? Water is the thing that you use to help brush your teeth in the morning, water is the thing that you drink before you go to bed, water is the thing that you swim in to get clean. Did you know that you are using the same water as dinosaurs used a billion years ago? How you ask? This is all because of the water cycle. Here’s how the water cycle works. First, the water gets evaporated by the sun rays next, It gets colder as the water droplets get higher and soon they bundle together and make a cloud, then the cloud gets higher and starts to shrink, then the rain stored inside the cloud starts leaking out to cause rain.